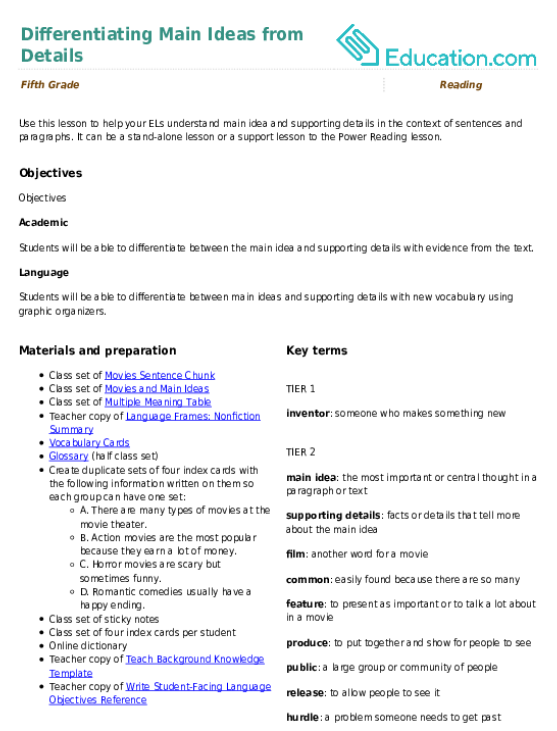 Use this glossary with the EL Support Lesson: Main Idea and Details in Nonfiction Texts. 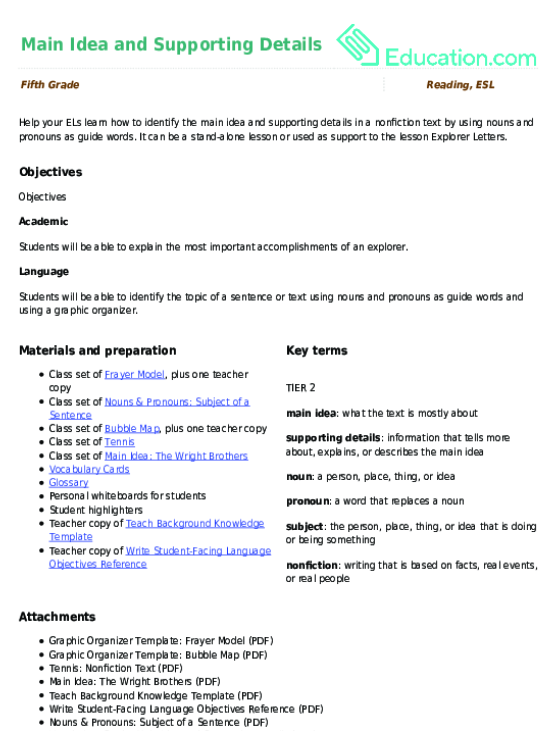 Use this glossary with the EL Support Lesson: Main Idea and Supporting Details. Use these vocabulary cards with the EL Support Lesson: Main Idea and Details in Nonfiction Texts. Help your ELs learn how to identify the main idea and supporting details in a nonfiction text by using nouns and pronouns as guide words. Use this glossary with the EL Support Lesson: Differentiating Main Ideas from Details. Use these vocabulary cards with the EL Support Lesson: Main Idea and Supporting Details. I Can Write About Main Idea & Details! In this exercise, EL students will practice using sentence frames to write about main idea and details. Use these vocabulary cards with the EL Support Lesson: Differentiating Main Ideas from Details.